The thematic area “Insulation” refers to the superinsulating materials (Aerogels & VIP) and their application in the development of construction components and relates four European funded projects: AEROCOINs, HIPIN, VIP4ALL, HOMESKIN. The thematic area also includes “HVAC” projects (ENE-HVA, NANOHVAC and nanoCOOL) that refer to Heating, Ventilation and Air-Conditioning systems relying on the technology of indoor and vehicular environmental comfort. On Sep2016, four new projects were added in the group (EENSULATE, GELCLAD, WALL In ONE and INNOVIP). AEROCOINs proposes to create a new superinsulating material by overcoming the two major obstacles which have so far prevented a wide-spread use of silica-based aerogel super-insulation components in buildings and construction. These obstacles are the POOR MECHANICAL PROPERTIES of silica aerogels and the HIGH COST associated with its production. Featured in AMANAC 2nd Newsletter! The main aim of the HIPIN project is to develop a sustainable and cost-effective technology to produce a nanostructured aerogel that can be incorporated into paint, plaster and panel applications which can be used in both retrofit and new constructions. The HomeSkin project aims to develop a new silica Advanced Aerogel-Based Composite material with the lowest thermal conductivity compared to all others market materials that will permit to use less material and reduce global environmental impact of the developed system. HomeSkin will help to develop the other properties of the new silica aerogel-based advanced composite material in order to make it the best solution on the market. EnE-HVAC, or Energy efficient heat exchangers for HVAC applications, is a collaborative project funded by the EU under the FP7 theme EeB.NMP.2012-4: Nanotechnology based approaches to increase the performance of HVAC systems. Through EnE-HVAC, we will demonstrate energy savings of up to 50% on the total energy consumption in an HVAC system compared to current conventional commercially available systems. Novel Nano-enabled Energy Efficient and Safe HVAC ducts and systems contributing to an healthier indoor environment. Within this framework, the NANO-HVAC project aims at developing an innovative approach for ducts insulation while introducing new cleaning and maintenance technologies, all enabled by cost-effective application of nanotechnology. The whole system aims to be developed with a requirement of service life of the building of 25 years. Following the market needs the consortium will design and develop safe and high insulating HVAC-ducts enabling minimization of heat/cool losses and a Cost-effective pathogen and allergenic removal procedure which will be continuously effective during HVAC operation and maintenance. The nanoCOOL goal is to build on latest advancements in thermally conductive polymer nano-composites and liquid desiccants (halide solution as LiCl) to develop an innovative hybrid liquid desiccant cooling system in the range 100-200 kW which is able to be cost-effectively operated both in residential and commercial buildings, combining the advantages of liquid desiccants with a traditional central air conditioning system. This system simultaneously uses the evaporative cooling heat and condensation heat of a compression-type refrigerator. In the nanoCOOL concept, waste heat from the condenser is utilized for regeneration of the desiccants. No external heat sources are used for regeneration. This mechanism greatly enhances the total efficiency of this system. 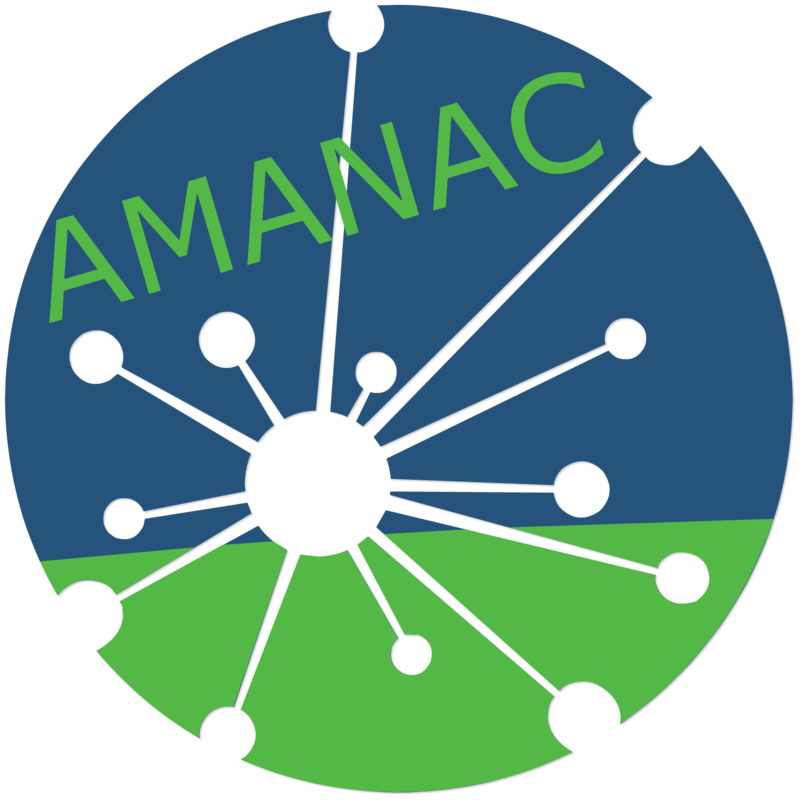 Featured in AMANAC 3rd Newsletter! Eensulate will develop an affordable and lightweight solution for envelope insulation to bring existing curtain wall buildings to “nearly zero energy” standards while complying with the structural limits of the original buildings structures and national buildings code. The GELCLAD project aims to generate a novel modular external insulation system for building envelopes, using a product made of an eco-composite panel with a nano insulation core, which is capable of being thin, light, easy to handle, affordable, durable and specially designed for retrofit activities. WALL IN ONE will develop a consistent package of new advanced sustainable insulation products and systems. The HONEST (High performance Optimized Nanomaterial Energy efficient SysTem) package is a “modular toolbox system” providing a set of complementary solutions that will address most of the complex challenges raised by thermal renovation as well as new construction. INNOVIP will reinvent VIPs by using new materials for the core, new foils for the envelope, new production technologies and innovative cladding materials that offer extra functionality to the user, whilst addressing LCA issues. The results will be demonstrated at several locations throughout Europe.